This is a curved square Lithia Beer porcelain sign. This particular Lithia Beer sign is black with red, green, and yellow print. 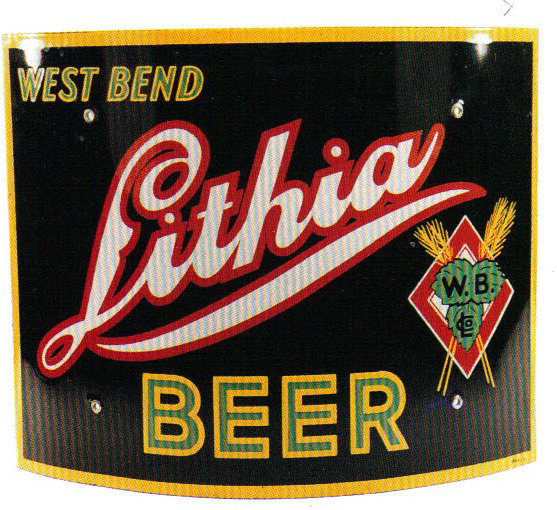 It reads, “West Bend Lithia Beer” and features the West Bend Brewing Company emblem on the right side of the sign.